Named after Monsieur Jules Cornet, a Belgian geologist, Cornetite is a dark blue to blue-green Copper based mineral that occurs in only a handful of localities around the world. 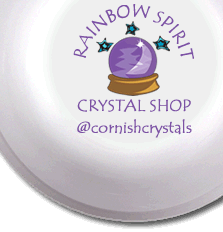 Key Healing Properties: Cornetite is an interesting alli in the crystal healer's tool box. It is used when a lack of full expression of the heart's desires has lead to a duality or confusion in the consciousness. It can ease the emotion of a heavy weight being born, endorsing patience and strength, and encouraging clarity in self-expression.